Our pastor is Joe Allmond, CRE. 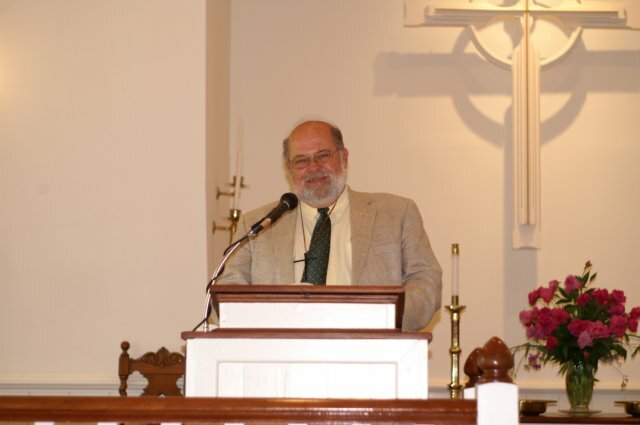 Joe served as a part-time pulpit supply from October 2004 through June of 2009, when he enrolled in the Presbytery of the Peaks lay pastor training program and began to serve the churches on a full time basis. Joe was commissioned to Christ Presbyterian Parish by the Presbytery on Octobber 27, 2011. He is a retired addictions/mental health therapist, who also taught Social Sciences at Delaware Tech for many years.